There is an Amiad Filter for almost every irrigation application. 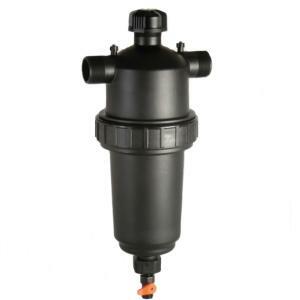 Amiad 2" T-S Filter has various filtration degrees to cover the needs of your irrigation systems. Amiad Plastic 2" T-S filters are made from high quality engineered plastic materials giving excellent mechanical strength, durability, and ease of installation. No tools are needed for extracting the filter element from the filter housing for rinsing which makes them easy to maintain. Available with a screen element or a disc element. Weave-wire elements are compatible with Amiad Brushaway filter cleaning system.